Despite this year 's advances, healthy eating and exercise habits are still the cornerstones of heart health. 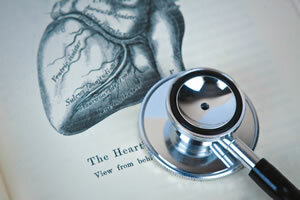 Highlights include promising new medications, devices, and procedures to prevent and treat heart disease and stroke. In the past year, progress in the fight against heart disease and stroke came in many forms, from novel drugs and procedures to improvements and newfound benefits from existing treatments. Harvard Heart Letter Editor in Chief Dr. Deepak L. Bhatt selected 10 of the most important. A new class of drugs, given by injection just once or twice a month, can slash harmful LDL cholesterol levels by about 50%. Studies are under way to see if any of these agents, called PCSK9 inhibitors, prevent heart attacks or improve heart disease survival. In people with chronic heart failure, a new drug known as LCZ696 lowered the risk of being hospitalized with heart failure or dying from heart disease by 20%. The benefits were so striking that researchers ended a large study of the drug early. Transcatheter aortic valve replacement (TAVR) offers a nonsurgical way to fix a stiff, narrowed aortic valve. Compared with people who had open-heart surgery, those who had TAVR had a higher one-year survival rate. TAVR delivers the new valve to the heart through a catheter threaded into an artery in the groin. Currently, it is approved for people considered too sick or high-risk for surgery. A promising experimental treatment for stubbornly high blood pressure failed an important test. Renal denervation, which uses radiofrequency waves to zap nerve endings in arteries leading to the kidneys, seemed to alter how the kidneys regulate blood pressure. But the technique proved no more effective than a sham procedure for lowering blood pressure. A new device helps doctors keep tabs on people with serious heart failure by measuring pressure in the pulmonary artery, which transports blood from the heart to the lungs. The battery-free sensor of the CardioMEMS HF System wirelessly sends data to the physician, who can then adjust the person's treatment as needed—and ideally prevent hospitalizations. Weight-loss (bariatric) surgery helped obese people with diabetes eliminate most of their diabetes medications and get by with fewer drugs to control their blood pressure and cholesterol. Surgery was far more effective than weight-loss counseling plus frequent blood sugar testing, and drugs to treat diabetes. Being obese and having diabetes greatly increases the risk of cardiovascular disease. Treating obstructive sleep apnea—a common problem that causes people to briefly stop breathing many times throughout the night—may help lower blood pressure in people who have heart disease or are prone to it. CPAP, or continuous positive airway pressure, delivers a constant stream of air through a face mask, which prevents the back of the throat from collapsing and blocking airflow. A new FDA-approved medicine that decreases blood clot formation lowers the risk of heart attack in people who have already had a heart attack or peripheral artery disease. Vorapaxar (Zontivity), the first in a new class of drugs called PAR-1 antagonists, prevents platelets (tiny cell fragments found in blood) from clumping together and forming clots. A new American Heart Association initiative dubbed Target: Stroke encouraged 11 hospital-based strategies to speed treatment for stroke. Thanks to the faster treatment, fewer people died in the hospital, and more people returned home instead of going to a rehabilitation facility. New guidelines to lower the likelihood of a repeat stroke among stroke survivors include better screening for diabetes and obesity; advice to follow a Mediterranean-style diet; the use of new oral anti-clotting drugs as alternatives to warfarin; screening for sleep apnea in some people; and longer monitoring for atrial fibrillation among people who have a stroke of unknown cause.